We are happy to inform you that the accreditation of Varna University of Management has been approved once again by the Accreditation Committee of the British Accreditation Council. The Accreditation Committee visited VUM in October 2017 to evaluate all our ongoing activities and procedures. The accreditation is recognized internationally and assures the British standards of higher education are implemented in our institution. We are happy to tell you about VUM connections with China. Varna University of Management is a recognized institution in accordance with the Chinese Ministry of Education - Education Regulatory Information Network. You can see VUM listed on their website under No. 13. Varna University of Management has an agreement Shanghai Lixin University of Accounting and Finance. Thanks to this partnership VUM students can take part in mobility programs and thus spend a semester in the Chinese university. Varna University of Management would like to proudly present some of the connections of the university with the USA and the great opportunities that our students have for mobility programs overseas. It all starts back in 1997 – Bob Miller, former governor of the State of Nevada, is then the Chairman of the Board of Directors of International College – Albena – now Varna University of Management. Under his management, the Board of Directors founded our higher education institution and turned it into the modern business institution as you see it now. Varna University of Management would like to proudly present some of the connections of the university with the Republic of South Korea and the great opportunities that our students have for mobility programs with the Asian country. Korea is a country in East Asia with a great culture and rich history. 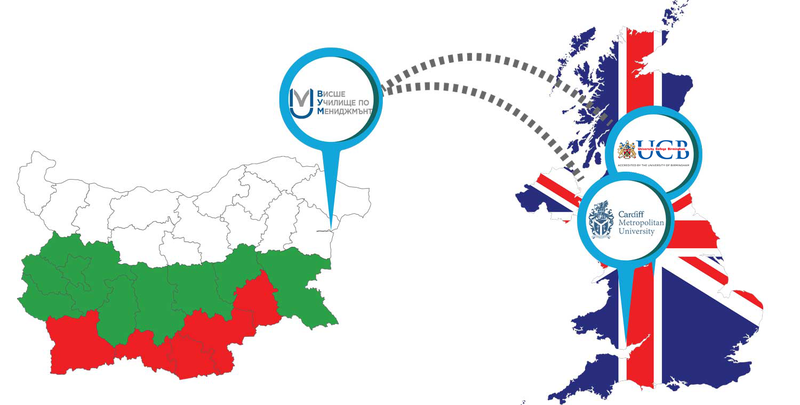 VUM is proud to share with you some key facts about the connections we have with this country and about the mobility opportunities that our students have. 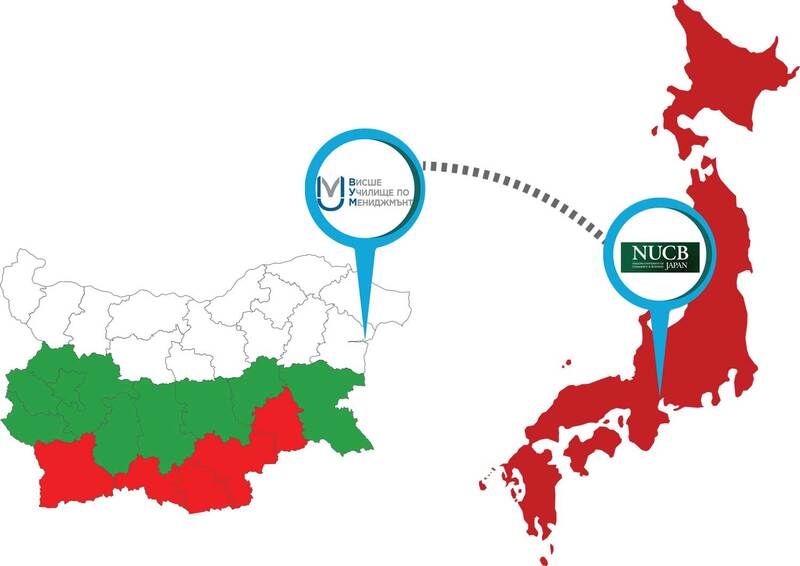 Varna University of Management has an established partnership with Nagoya University of Commerce and Business (NUCB) in Nagoya, Japan. Japanese Cultural Month is held every year during the month of November in Bulgaria. This year we are expecting to have a Japanese Cultural Month in Varna also. Varna University of Management has even offered to participate in the event with several interesting activities. We will keep you informed about it. We would also like to share with you the fact that one of our lecturers – Ms. Polina Mitkova has lived in Japan before coming to Varna University of Management. She was there to teach English as a foreign language and she has experienced this great culture from first hand. Since March 5, 2018 Varna University of Management has started another international partnership, this time with Pontificia Universidade Catolica do Parana, Brazil. 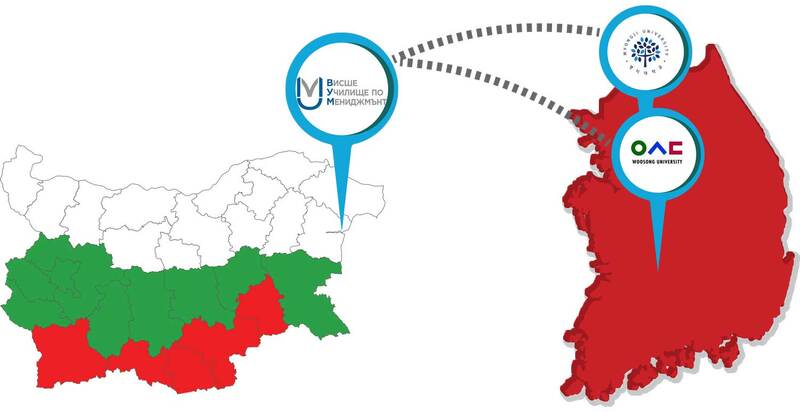 According to this cooperation the students will get triple degree (Bachelor in Business Administration by Pontifícia Universidade Catlica do Paraná, Bachelor in International Business Management by Varna University of Management, BA (Hons) International Business Management by Cardiff Metropolitan University).